Today, the old saying “time heals all wounds” is nothing short of senseless. Some might even call it offensive. Seventeen years after the day that changed the world as we know it forever, it’s impossible to imagine anyone who lost a loved one on 9/11 not experiencing sadness and pain. No matter how much time passes, I am simply overwhelmed each year by the all-too vivid memories of what started out as a crisp and clear picture-perfect day here in New York City. As my longtime readers know, back then I was working as a reporter at News 12 Connecticut. My colleagues and I watched the newsroom’s multiple TV screens in horror as the second plane hit the South Tower of the World Trade Center. That moment when we realized it wasn’t an accident was the first and only time I can remember a newsroom being completely silent. Then, in what seemed like a blurred frenzy, our assistant news director shifted into auto-pilot and sent us out into the field with videographers and live trucks. There were no lessons from my journalism classes at Northwestern or past experiences as a reporter that could have prepared me for that unfathomable day. Before leaving the newsroom, I left a message on my parents’ answering machine telling them how much I loved them. I don’t remember how many live shots I did that day or how many people I interviewed. I do remember the faces of the medical team anxiously waiting to treat injured survivors; the tearful embrace between an ash-covered man and the woman waiting for him on the platform; and all the cars that remained in the parking lot as midnight approached. I wondered how many people would never return to claim them. In that pre-Facebook world, many of my friends tried to reach me on my cell phone – when the circuits weren’t down or busy – to see if I could help find any information about a loved one who worked in the city. Receiving those messages in between countless live reports broke my heart, and I’d learn later that several of those people being searched for were indeed gone. In the days that followed, I also learned a former friend and News 12 Long Island colleague, Glen Pettit, was killed. A talented videographer, Glen was also a NYPD officer. He was last seen with his camera on his shoulder running toward the towers to capture footage. Glen was 30 years old. Along with the sadness, shock and anger felt around the country after the attacks, I also remember another unprecedented turn of events. Stores were selling out of Americans flags and random acts of kindness were reported everywhere. Seventeen years later, I realize all three of my Goddaughters – all born after that fateful day – never witnessed that kind of unity in the country they call home. Today, they see social media feeds where bullying takes on a whole new level as people lash out at others who don’t share their beliefs. Simply put, when I think about the state of our world today, it makes me want to cry all over again. Never one to be political in this blog or on my social media channels, I can’t help write about what’s in my heart. As we mark another 9/11 anniversary, we’re bombarded with headlines surrounding the latest discord in Washington and looming disasters as hurricane season continues. We also continue to struggle with volatile issues ranging from gun control to the cost of healthcare. We even post scathing, combative messages for all the world to see about everything from Nike’s choice of a spokesperson to Serena Williams’ loss at the U.S. Open. What a mess. On this September 11th, as we all stop and pray for all those lost on this day 17 years ago, let us also honor their memory by remembering the power of love and compassion. 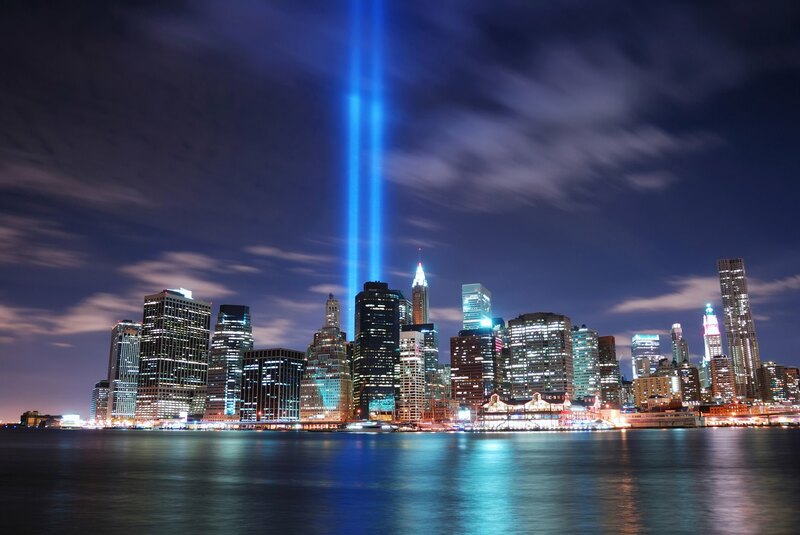 Posted on September 11, 2018, in Uncategorized and tagged Glen Pettit, News 12 Connecticut, News 12 Long Island, NYPD, Random Acts of Kindness, Remembering 9/11, World Trade Center. Bookmark the permalink. Leave a comment.